It has been quite a while since I have done a post – sorry everyone! It has been a busy year indeed – planning a wedding, getting married together with work being crazy busy! But that doesn’t mean that I haven’t been out and about trying out new places – I have – I mean a girl has got to eat right! So in the coming weeks leading up to Christmas I will post a few blogs…. PROMISE!! Leading up to Christmas is a time when people are wanting to get together with family and friends and of course enjoy a good meal. So I will just name a few places that I have been to lately that I would highly recommend. Enjoy and have a great Christmas and an awesome New Year!! They have an amazing looking and delicious Chai Pudding. Looks like a mini garden sitting on top of the chia pudding. They also do a Kaffir Lime Crumbed Poached Egg which is DIVINE!! A really great menu which leaves you second guessing what you want to order – from a big breakkie to a crab burger they have it all. They also do these really amazing desserts such as Raspberry and White Chocolate Filled Cronut. Their coffee is delicious and their Tea Selection is fantastic! These were their special – Rocky Road Waffles – Fresh Berries, Toasted Marshmallows, Raspberry Curd, Lemon Curd, Vanilla Mascarpone, Fruit Jelly & Chocolate Almond Crumble. YUMMMM! Rustica Canteen is newly opened in the Melbourne CBD and has this delicious Nutella and Banana finished with Hazelnuts on toast. They also serve other delicious meals for breakfast and lunch such as this Quinoa Salad. Another highlight of Rustica Canteen is the delectable selection of cakes, dounts and crossiants like the Ispahan Rose Crossiant. A must try! A cute cafe with a great range of dishes for breakfast and lunch. A newly opened cafe this year – named after Geoffrey Bawa who was Sri Lanka’s most prominent architect and a driver of the 20th century style known as “tropical modernism”, known for bringing the outdoors in, mixing elements from different times and places, and making use of lots of greenery – which is exactly the philosophy that Bawa follows. The menu is versatile and covers a range of dishes – trust me there will be something for everyone. Below is a picture of the delicious Ricotta Hot Cakes with Lavender Custard. Mastic has a very healthy but delicious take on breakfast. The larger tables are table tennis tables so if the cafe is really quiet you can even enjoy a game of table tennis! Love the decor and the service is great. The Premises is one of my fave places for breakfast. Always impressed by their dishes – be it a bread pudding special to these delicious dishes we had which came on the best tasting Turkish bread I have ever tasted. Delicious! I love the fitout of this cafe – lovely pastel shades line the back walls and the chairs – super cute. They also do a really great Matcha Latte and the food not only looks but tastes great. I still have to go back and try the coconut pancakes – there are a limited amount each day so if you want to try these awesome looking dish – get in early! A cute little cafe located on Lygon Street. I had the Red Velvet Pancakes – Fresh Berries, Vanilla Mascarpone, Chocolate Soil, Freeze Dried Mandarin, Citrus Powder, Burnt Meringue. 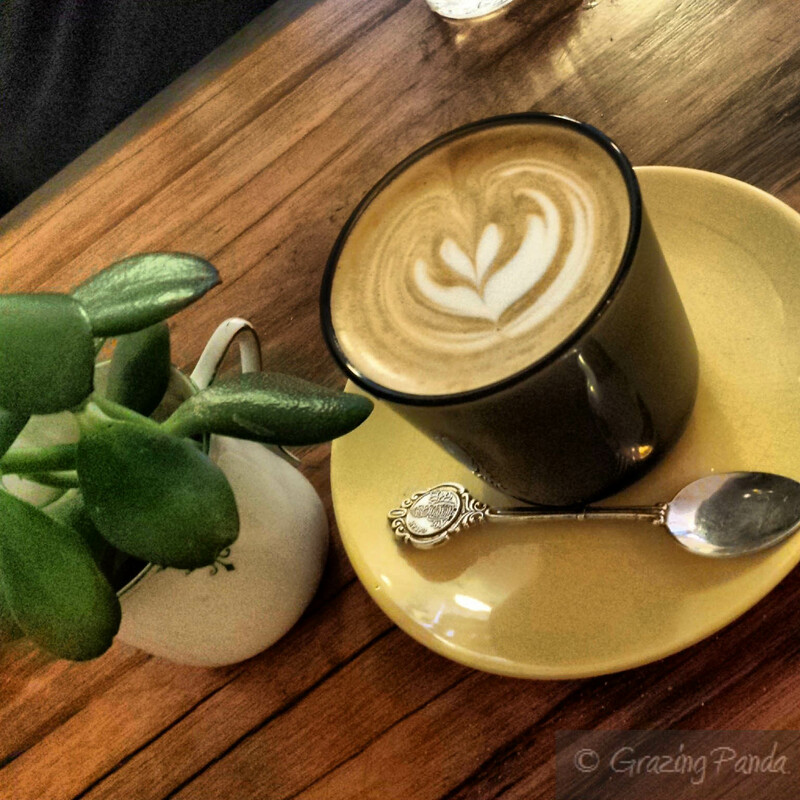 This cafe is hidden in the streets of South Melbourne and was such a gem of a find. As you step inside you feel as if you have stepped into your grandmorther’s living area. There are bookshelves filled with books for the lil ones as well as toys. There is a huge communal table as well as individual tables. The menu is extensive and have such gems as the picture below – French Toast with Berries, Plums and Maple Syrup. There is a wealth of experience behind the creation of Square and Compass – located on Clarendon Street in East Melbourne. 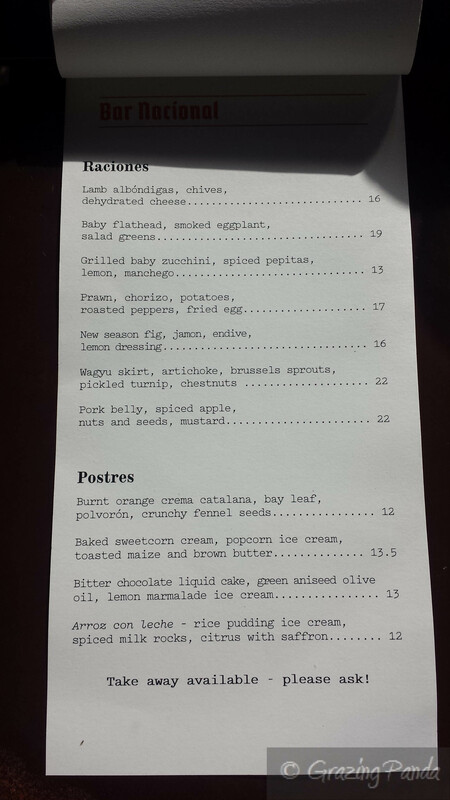 The menu has changed since I have been – they now have a variation of the waffle dish that I had below. 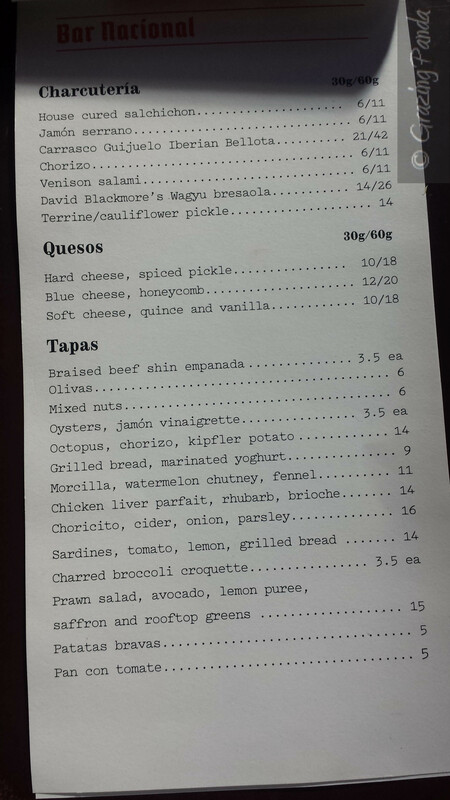 Great selection of dishes! Baba Sus serves all day breakfast which includes the delicious Hong Kong Egg Waffles – Vanilla Custard, Berry Compote, Green Tea Ice Cream, Pistachio Praline. However they do sell out of these babies so get in early to try it out – well worth the early wake up call. They also do great combination milk shakes – COOKIES AND CREAM FTW! Serving an all day breakfast consisting of Savoury Bites and Sweet Dishes as well as daily specials. I had the special which was a Breakkie Board which came with Toast, Poached Egg, Avacado, Orange Juice and Muesli with Fresh Fruit – sooo damn good! A cool cafe located in the streets of Richmond. There is an outdoor sitting area as well. I had “The Mushroom Dish” – Brioche, Mushroom, Parmesan Cheese, Egg. It certainly was a dish with a different with the egg located in the centre of the Brioche Bread! Giddyup Mule is attached to the state-of-the-art workout space, Art of Cycling. It is a great warehouse filled space – complete with a fireplace in the main room for those wintry days! 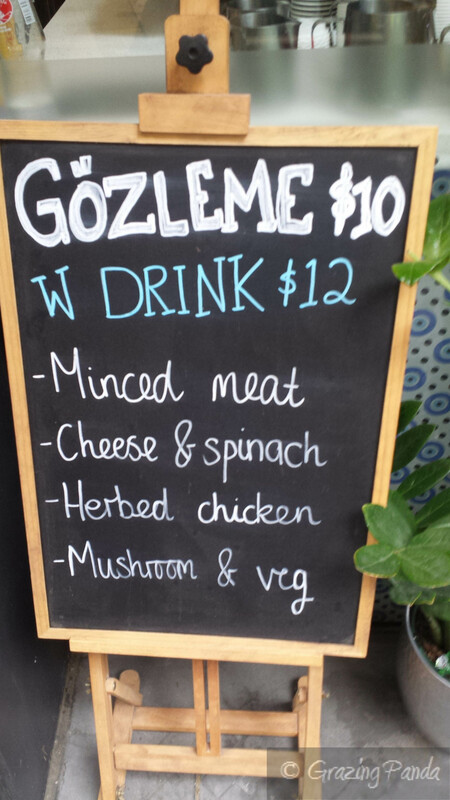 Great selection of food on the menu with a healthy spin on classics. An all round place to just chill out at. I love the cute little bear logo that greets you at the entrance and braces all the coffee cups – it is super cute. The food menu has hidden suprises with bursts of excitement in the form of squid sausage for example. Coffee is from Proud Marys. I absolutely love the illuminated paper clouds that sit in the centre of the restaurant, and pays homage to Ernest Hemingway’s The Old Man and the Sea, the walls are painted in white and grey tones. The menu is a fusion of Thai, Japanese and Chinese and simply wonderful. The menu is designed to share so grab a bunch of friends and try as much as you can from the menu. If you are after some delicious and fresh tasting wood fire pizza, pasta coupled with entertainment for all then this is the place for you. The boys who run this restaurant hail from Italy and if you are lucky enough to score a dinner booking – there will be a time when the lights turn off and out comes the twirling pizza dough show which is mighty impressive. If this isn’t enough to WOW about then you should try their Nutella calzone. It is to die for! Calling all chicken lovers! This is the place for you.You can the meat you want, then pick the Heat – Southern, Medium, Hot, Really Hot and Really F**kin Hot. I love my spice and can usually handle my spiciness but I got the HOT and this was pretty damn hot really – I cannot imagine what the Really F**kin Hot would taste like! All Meats come with a selectino of 1 side – be it Old Bay Fries, Broccoli & Almond Salad, Coleslaw, Mixed Pickles or 3 Bean Salad, Red Peppers and Dill. And you have a selection of sauces to choose from – Mississippi Comeback, Belles Ranch Dressing, Belles Blue Cheese, House Made Ketchup, House Made Hot Sauce. I am actually not sure how I stumbled on this restaurant – but I am sure glad I did. The cuisine is Italian and the main meals were wholesome and really tasty. Then you come to dessert and they were certainly different. The Tiramasu is what appears inside of the sphere and the Poached Pear dessert had a mix of flavours that worked really well together. 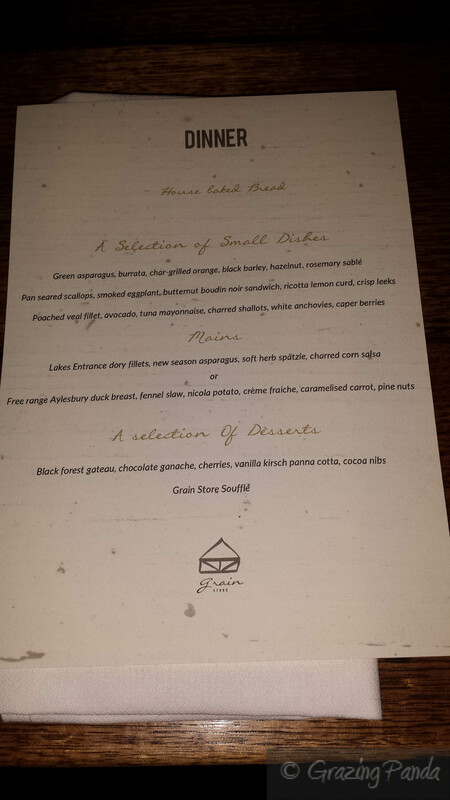 A degustation menu is also available. Dessert Shakes are all the rage in 2015 and Johnny Pump are the king (IMO). There are 6 different flavours to choose from with a daily special. They taste pretty damn good too but once again this could depend on the flavour that you pick. They also do a great breakfast, lunch and dinner menu. Servings are very generous and there is a large variety of food to choose from. The venue is bright, colourful and inviting. The service is warm and friendly. The food is really tasty and has all the right notes of spice. The stand out dessert is definitely the Marshmallow and Nutella Puffs (pictured below) and are a genius of an idea. Emilia has taken over the old Gills Diner premises and brought a sweet charm to it thanks to great service, delicious food and exquisite artwork. Emilia showcases Italian dishes at its best with the dishes reflecting the diverse Italian flavours all whilst keeping the traditional techniques in check. You wont be disappointed. Botherambo is a newly opened Vietnamese and Thai restaurant open in Richmond. The food menu consists of dishes to share as well your larger dishes and one signature dish. Their Saigon Slushie mocktail is right up there with the best mocktails I have had – a combination of pineapple, coconut and mint – just divine! The food was tasty – some hits, some misses – but overall delicious. The dessert of Mango Sticky Rice with Coconut Ice Cream was the best way to finish off the meal. I really wanted to try the Banana Spring Rolls – however they had sold out by the time it was dessert time for us. Need to go back to try them out. Belleville is a fusion of bar, cafe, restaurant and live entertainment venue, housed in a historic multi-storey building off Chinatown that captures the pure essence of Melbourne. The point of attraction is definitely the enormous Brazilian rotisserie (located in prime position in the kitchen), rotating up to 90 chickens at any one time. The chicken comes in quarter, half or whole serves, smothered in sauces from the mild house chicken gravy, to the “hot as F#@k – and the best part is that it comes to your table and the waiter cuts it up for you (refer to pic below). The chicken is cooked to perfection and the other food on the menu is just as good! Check it out for a quirky, uniquely Melbourne night out! The Noble Experiment is all about reliving the 1920s – Prohibition Era – and bringing a sense of theatre to every drink and dish they create. I don’t drink but the most interesting drink would have to be their Bathtub Gin which comes served in a miniature bathtub complete with a floating rubby ducky! How awesome is that. There is a wealth of different spaces to choose from when you come and visit – think pop up basement bars, cocktails on tap or a vintage Absinthe fountain surrounded by the comfiest chesterfield lounges. This three-tiered bar has been designed to explore. Great place for drinks and delicious tasting food – not sure why we waited so long to check it out! Longhorn Saloon is a type of place that transports you into another time and place – where you could lose track of all your time and stay all night long. Named in honour of a shady bar where the underage Balleaus tasted their first beers – it has a great fit out to match thanks to naked bricks and wrought iron. I love the old chesterfield couches by a mini fireplace that you can just sit back and enjoy some drinks. The food servings are generous and taste amazing. They are known for their burgers – but I must admit their other dishes are just as good. I really loved my time at this place too – a New Orleans-inspired oyster saloon, smokehouse, cocktail bar and absinthe den. The food takes inspiration from American South – their smokehouse brisket is done Texas-style, their blackened fish and crab cakes come from the Louisiana Gulf Coast – with inspiration coming from as far west as New Mexico and as far east as Alabama. The Press Club really needs no introduction – one of many of George Colombaris’ restaurants which has recently undergone a refurbishment. It is spectacular – filled with mirrors to make it look bigger than it actually is (especially when you look in from the outside). Certain tables have a vantage point looking into the kitchen so you can watch as the chefs create your unique dishes. The Press Club is all about the attention to detail and great customer service – from the friendliness to the in-sync placed dishes on your table – there is nothing to fault. This dish pictured was given to us at the end of our meal – petit fours – their very own housemade chocolate and caramel cubes displayed on a mini clothesline. Adorable! The food is full of theatrics with a flavour to match. A must try! Lounge has been around for years – located on Swanston Street – being quite a popular night spot and bar for uni students. Most recently they have revamped their kitchen menu – to target a wider clientele. You can now find sliders, patatas bravas and even a salted caramel panna cotta! Port of Call Salon Bar & Grill is a bar inspired by the eats, treats and beats of the Caribbean. My hubby is from the Carribean and has been telling me all about the foods that you can get there – such as Doubles and Bake and Shark – so I was really excited to try them out right here in Melbourne (until I actually get to visit the Carribean). I love that in Melbourne you can try out various types of cuisines from all around the world. Amazing. This place is a definite must try. And eventhough the dish sizes look small – they are deceivingly filling! Speaking of being able to try out almost every cuisine right here in Melbourne – Ethiopian is yet another cuisine you can try out. This was always on my list to try and I was really excited to check out Sabas. Saba herself (who runs the restaurant) is lovely – she helped me out when I asked if the meat was halal (which it is btw). Hailing from the far northern region of Tigray, the beautiful meat, vegetarian and vegan dishes are served on the famous Injera bread. You get to experience the way that the Ethiopians eat as well – on a shared place with the curries you choose all placed in the middle of the injera – with extra injera surrounding it. Such a special thing to try out different customs and ways that different cultures embrace food-time. The menu is completely gluten-free and vegans and vegetarians are well catered for. Ethiopia is a country with serious coffee-growing credibility, and Saba’s performs the coffee ceremony, which starts with roasting green beans, moves through grinding and brewing (in a jebena​, which is like a clay moka pot) to serving in little cups. Additionally you can purchase teff (gluten-free flour used to make injera​ flatbread) – which has been awarded a superfood status – and how Saba first started her business venture. A must visit. The many times that I have visited Mr Hive Kitchen and Bar – I have never been disappointed. Located at the Crown Metropol end of the Crown Entertainment complex – Mr Hive is a great place for a relaxed dinner date or catchup with friends.There is lively bar area at the front serving cocktails, snacks and shared platters. Move inside further where you will find tables spaciously laid out to devour your perfect meals. Service is great. If you are in a pasta mood – then this is the place to be. Handmade in-house, fresh and super delicious! Tip00 is a name to reference the flour used in what they specialize in ‘pasta’. They also do a really great Panna Cotta! A point to note is that there are limited amount of seats available – so booking a table is highly recommended. Tip00 is really popular with the city folk and usually gets packed out at all times of the day! Yep it really is that good! Sugar Prawn replicates the feel of a hawker market in Malaysia – complete with the plastic chairs and colourful decor. There is also fresh juice is available from Jasmine Jus Bar and their own in house radio station located across from this. Malaysian breakfasts are also served – think kaya (coconut jam) toast and coconut sago pudding with sliced fruit. You can also find Everyday Coffee which delivers quality filter coffee. At dinner time you can devour the most delicious chilli crab served with fried buns here along with other great tasting Malaysian inspired dishes! Located on the third level of The Duke of Wellington with a New York vibe is a standing-room bar and 110-seat restaurant. There are two dinner settings with the later group (around 8:30pm) encouraged to stay around till lights out (around 1am). Resident DJs will play a mix of soul, funk, punk and anything you can’t find in the top 100, plus the DJ sets will be available on Dutchess’ own Spotify channel each week. The look and feel is luxurious which further encourages customers to want to stay. The food focus is on dry-aged steak with meals designed to be shared. There is also a raw bar focusing on seafood located next to the bar, for those looking for lighter snacks with a beverage, as opposed to a full meal. They also serve a King Crab Mac and Cheese which is the bomb!! Mr Huang Jin used to be located within the Rialto building but has now moved and taken up shop in The Archway. The menu includes an array of traditional Taiwanese foods – think noodle soups, rice dishes and stir fries together with the signature handmade (on site) xiao long bao (soup dumplings). The dumplings here are really quite delicious and rival those made at the famous Hutong. I love the interior – complete with pale timbers which is reminiscent of bamboo steamers – and rather interesting chairs (when you visit you will see what I mean). The space is quite small (seats about 40) so perhaps you would want to book just in case. You don’t want to miss out these dumplings. The Millhouse is located in the heart of the city and resides in the basement of Tomasetti House (which was built in 1851 to house a steam flour mill). The original bluestone walls remain with additional features such as brass finishes and recycled beechwood accents to created a relaxed bar and eatery. 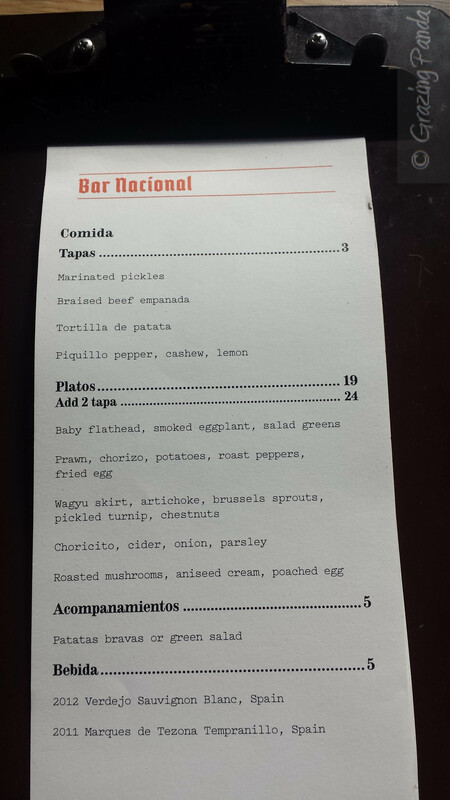 There is a subtle South American influence over the menu thanks to Peruvian chef Augustin Ortega. The menu is designed to share – and the portions are generous indeed! I love the picture themed words that you will find on the menu as well as the coasters (not to mention their website) – enjoy deciphering these! Great chilled out space with fantastic bar tenders who can whip up great mocktails / cocktails! MJR Tom is the newest venue to grace Smith Street in Collingwood – there are two main areas to it – a cosy front cafe dominated by tables and benches and a big standing-room bar out back, with a bluestone pool table den downstairs. I love the fitout – complete with plywood – it creates light and an inside-outside vibe. During the day you will find a breakfast menu which includes blue swimmer crab omelette with papaya and Vietnamese mint, patatas bravas and pa amb tomàquet. The lunch and dinner menu has a somewhat Asian / Latin feel to it. Also a great place to have drinks and hang with friends. The night we went – there were a lot of parties happening. Dont think this place even really needs a spiel about it – Heston Blumenthal – that is all! Your best bet at getting a table here is booking online and looking out for available tables. Bookings also open two months out from a date. Love Hot Chocolates? Dex2Rose does one with a difference – it comes with our very own mini fire to toast marshmallows one.And the best bit – aside from the taste – is that there an unlimited amount of fire and marshmallows! Want another type of Hot Chocolate with a difference – check out Hash Specialty. This comes served with pure melted chocolate served with Fairy Floss to lend some extra sweetness. Love cakes, macaroons or chocolate? Then this is the place for you. Has great tasting coffee to match as well. They also do cakes for any special occasions that you need to pre-order. I ordered one for my sisters 21st – and it was soo good! Highly Recommended. Cookies and Cream FTW!! SOOO DELISH! Check out @kwakscrolls for current locations. MY ALL TIME FAVOURITE COFFEE PLACE! Really great tasting coffee and great service. Not to mention the special sweet and savoury treats that you can get to go with our coffee such as Kwak Scrolls (see above) and these addictive Butter Bing Cookies! Enough said! 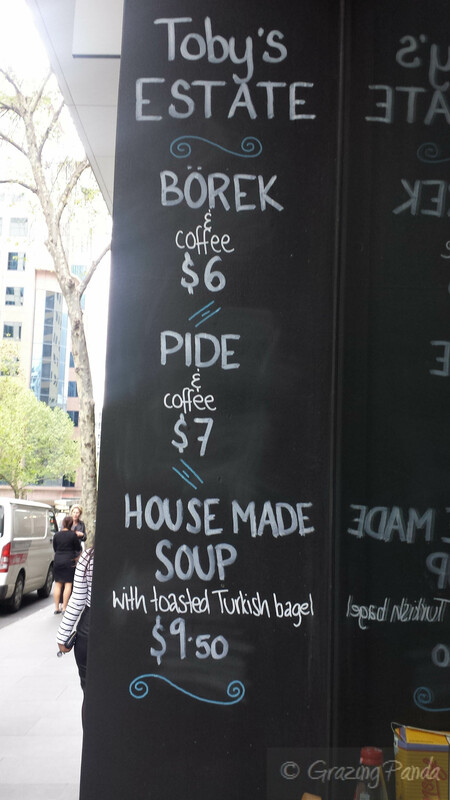 5 & Dime has finally launched in Melbourne bringing New York style bagels into Melbourne CBD, and we have Zev Forman to thank. 5 & Dime is located in Katherine Place, near the Spencer Street end of the city. Forman formerly from New Jersey grew up having bagels everyday with his grandparents in New York and started baking his own bagels and selling them in markets such as Flemington and Coburg Farmers Markets. For research he travelled to America to work with the most celebrated bagel makers in New York, to ensure he had the perfect recipes and techniques. 5 & Dime is a dedicated bakery and carries a simple fit-out by Brand Works and Beyond the Pixel – with wooden accents, tables and clear circular glass display for the bagels. Seating is limited but available for those who wish to have breakfast and lunch. The bagels themselves are a labour of love – it begins with a starter that sits for 24 hours, then they are rolled into rings and fermented for another 24 hours. The last steps involve being boiled, baked and finally served fresh. The current flavours are Dill, Poppyseed, Everything, Cinnamon & Raisin, Onion, Plain, Salt, Sesame and Rye. The usual spreads are available – Cream Cheese, Butter, PB&J – along with some different spreads – Strawberry Cream Cheese, Spring Veg Cream Cheese, Bacon Maple Cream Cheese, Smoked White Fish Cream Cheese and Vegan Cream Cheese. You can also get extras with your bagel – Tomato, Red Onion, Pickled Shallots, Capers, Radish, Vegemite, Avocado and Cured Salmon. All ingredients are of the highest quality with Foreman smoking his own salmon, curing his own Gravlax and using Goldfields real cultured cream cheese. Coffee is also served and is provided by one of Collingwood’s new comers – Promised Land. They serve batch-brewed filter coffee (which can be available immediately to serve) and offer rotating single origins as well. I order a latte and a Cinnamon & Raisin Bagel with Cream Cheese. I love the toastiness on the outside together with the soft pillow like texture on the inside. The combination of the crunch and softness is brilliant. The Cinnamon flavour is vibrant throughout the bagel with accents of sweetness thanks to the raisins. The cream cheese is the perfect accompaniment. The latte is strong, rich and full of coffee goodness that packs quite a bit of kick. 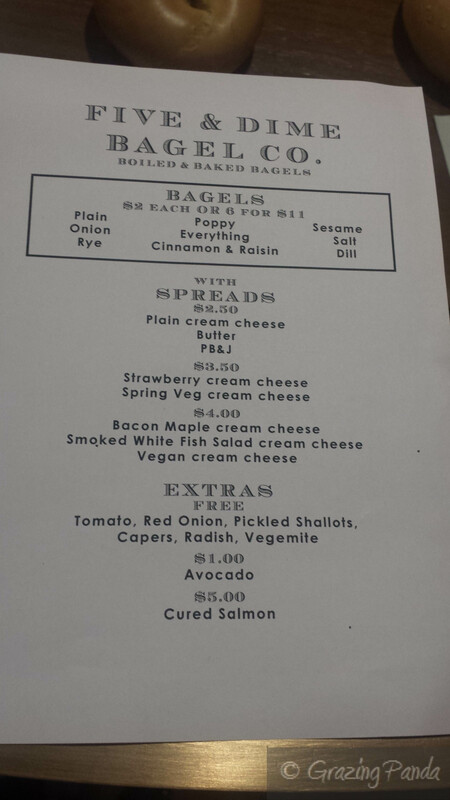 If bagels are your thing and you want to watch them being made – via a huge machine that has come all the way from Canada – then I suggest you try out 5 & Dime Bagel. Savoury Mushroom Jelly, Pumpkin Foam, Triangle of Chickpea Chips. Close up of Savoury Mushroom Jelly, Pumpkin Foam, Triangle of Chickpea Chips. I have been a HUGE fan of The Grain Store ever since its inception (check out my previous blog here for them – https://thegrazingpanda.wordpress.com/2013/05/29/the-grain-store-honest-cooking/ )– initially starting off with trying their breakfast menu (a few times!) and then branching out to try their lunch menu. I loved all of their food, ingredients and plating up of dishes. So naturally I was excited when I received an invite from Zilla & Brook, to try out their latest dinner offering at an intimate bloggers’ dinner. On arrival we were all greeted and asked to select from a choice of drinks. I opted for Hepburn Mineral Springs Organic Lemonade which was refreshing and perfect after walking from Southgate to the venue. As the rest of the bloggers started to arrive, we received small starters which were elegantly presented in clear egg shaped glass cups. You could see the distinction of two layers through the clear glass – a savoury mushroom jelly topped with a layer of pumpkin foam and finished with a crisp triangle of chickpea biscuit. The combination was delicious – the vibrant mushroom flavour paired with the sweetness of the pumpkin. The silky jelly combined with the smooth foam was a texture party for your senses. Once we had all sampled the starter we were led into an intimate private dining room which had been set up especially for us. It was a cosy group of about 15 of us – which was the perfect size. When we were all seated, head chef Ingo Meissner came out to say hello and gave us some information about the Grain Store – its background, philosophy and ideologies. Meissner himself is from Europe and hence there are many Mediterranean and French influences throughout the menu – that utilise both traditional and new techniques. The Grain Store sources local produce – for example the Burrata is from Carlton, the duck is from Daylesford. But their main point of difference is that they have their very own Rooftop Garden where they grow seasonal produce – as well as the pretty flowers, petals for that little bit of jazz when plating up – that ends up on your plate. What a great idea! As I couldn’t have the Poached Veal Fillet – I was substituted with a salad consisting of a variety of ingredients. The plating up of this dish was done really well – with the standout definitely being the bright purple cauliflower; everyone was wondering what taste they would have when they took their first bit into it. The cauliflower had been beetroot cured and therefore had a bit of tang to it – really good! Each of the components worked well together and I especially loved the black barley – which not only added texture but a great earthy tone to the dish. I loved the addition of orange to this dish to add an element of sweet and citrus. The scallop component was definite highlight amongst the other dishes on this Entrée plate – the scallop had been seared to perfection and flavoured well. The butternut boudin noir sandwich was a welcome component adding a sweet touch to combine with the ricotta and lemon curd. I enjoyed the finish of the crisp leek – adding depth to the dish. Next up was the mains – we were served alternative dishes between a Fish dish and a Duck dish – Free range Aylesbury duck breast, fennel slaw, Nicola potato, crème fraiche, caramelised carrot and pine nuts. There was a resounding “delicious” for the guests in the room that had this dish – with the duck being succulently cooked and the flavours of the fennel furthur enhancing the duck flavour. The Nicola potato component that it came served was glistening and looked divine! I had the Lakes Entrance Dory fillets, new season asparagus, soft herb spätzle, charred corn salsa. This dish was plated up simply, yet it was a colourful visual spectacle. The star attraction was the fish which front and centre and sat on a green bed of soft herb spätzle (I asked Ingo later how it was made and he told me that it was made much like that of pasta – with flour and eggs, with the addition of herbs to give it that vibrant green colour), and surrounded by the asparagus and the charred corn salsa. Each component added flavour and texture to the dish. The Dory fillets were lightly battered on the outside and cooked well – resulting in soft white kernels of delicious fish on the inside. I loved the look, feel and taste of the spätzle – it was the first time I was eating this and I was highly intrigued – it is the type of dish that you keep going back for more as it is easy to eat and tastes great. The charred corn salsa had the perfect level of smokiness that worked well with the simple flavours of the fish. I would definitely recommend this dish! Whilst we were eating our mains we were also given polenta chips topped with herbs and salt – which came out stacked like a jenga game. They were really tasty as well – crispy on the outside with a dense softness on the inside. A really great side dish addition to enhance your food experience. It had been a great night of conversation and simply designed tasty food so far but my favourite part of any meal was still to come. For dessert we lucky enough to be served a selection of desserts which included – Black forest gateau, chocolate ganache, cherries, vanilla kirsch panna cotta, coca nibs together with a Grain Store Soufflé (Strawberry with Goats Cheese sorbet and fresh strawberries). It was a tough choice of deciding where to begin on this sweet delight. I started with the black forest gateau – dense, rich and with added flavour from the berry centre. The chocolate ganache was the bomb – smooth, silky and full of chocolate goodness – you could seriously eat bucket loads of this ganache. The vanilla panna cotta came in a pyramid bite size piece – it was creamy and yet another delicious component. The Grain Store Soufflé was delightful – light, soft, melt in your mouth and filled with a strawberry flavour. A truly great dish! I wasn’t a huge fan of the goats cheese sorbet that was its accompaniment and felt soufflé on its own was all that was needed. The night was a fantastic event to meet new people and exchange stories, compare notes – all in the name of food – and more! The Grain Store should be a place that should be added to your list of restaurants that you must try in Melbourne – be if for breakfast, lunch or dinner. All dishes that I have tried here are delicious and well worth the effort. Disclaimer: Grazing Panda was invited to dine at The Grain Store as a guest by Zilla & Brook, however, opinions expressed here are purely my own and not influenced by them in any way. 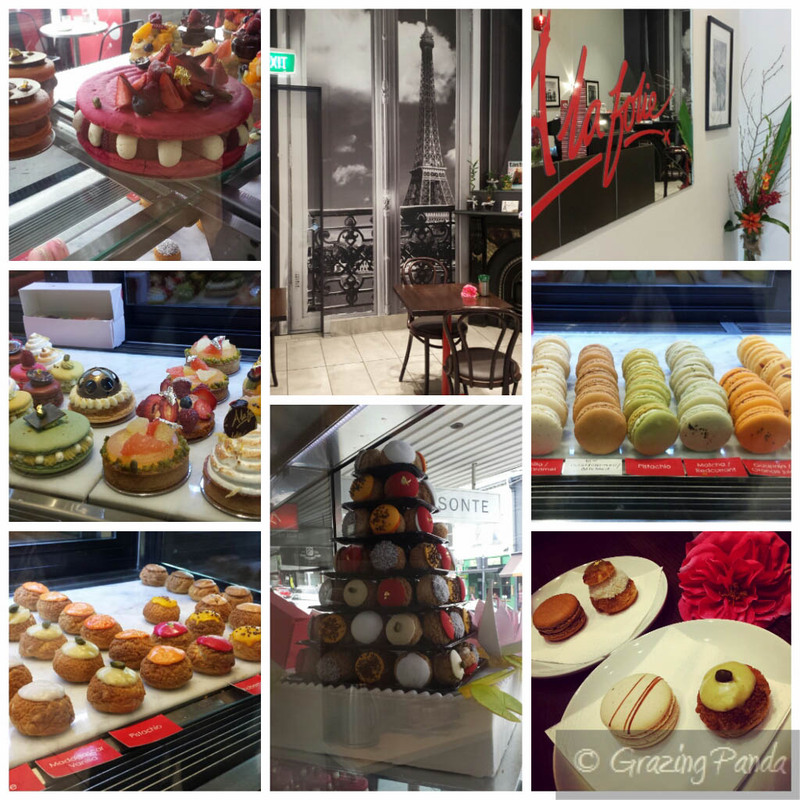 I have previously been in the South Yarra area and walked past the colourful and breathtaking A La Folie. You will find that people taking a glance at the window and then double back and stop and take a detailed look, and most of the time walking into the store to observe the delectable sweets up close and personal. A La Folie which can loosely be translated to mean ‘madness’(in the context of love to mean that a person is madly in love) showcases Mercédé Coubard passion and love for baking and creating unique small French treats. Located in Chapel Street, South Yarra, A La Folie is a store that creates wonderful tasting Macaron, Petits Choux, slices and delicate French pastries. Coubard was trained at the Alain Ducasse culinary school and uses A La Folie to showcase her brilliant talent – even catering for special events such as weddings, engagements and birthdays – creating Petit Choux towers. A La Folie is a type of place that makes you feel like you are in a cute little café right on the streets of Paris – complete with a backdrop of the Eiffel Tower coupled with cute little tables and chairs to match; dotted with red accents of color. Magnifique! You cannot help by ooh and aah whilst looking through the glass display cases of the colourful macarons, slices and Petit Choux. All products are made in on offsite location and brought to A La Folie. There are around 17 different macaron flavours to choose from which can include – Valrhona Caraibe Chocolate, Salted Caramel, Vanilla / Soft Caramel, Dulce Chocolate, Pistachio, Matcha / Red Currant, Guanaja / Orange Juice, Passionfruit Ganache, Coconut (Malibu), Grapefruit, Lemon Ganache, Fairy Floss, Blueberry Ganache, Strawberry Mint, Raspberry Ganache, Rose Delight and Champagne. There are also a number of dainty looking Petit Choux to choose from – Chocolate Coconut, P125 Chocolate, Coffee, Madagascan Vanilla, Pistachio, Raspberry, Mango & Passionfruit, Salted Caramel and Praline – as well as daily special flavours for you to try out in combinations like Lime & Coconut. A La Folie’s latest creations are the introduction of impressive looking Tarts – which can range from Mixed Fruit, Berry, Lemon Meringue just to name a few. There also is a combination of giant sized macarons and normal sized macarons; which come laced with extra buttercream/ganache in the centre and topped with a delicate decoration on top to match. It really was a tough decision that A and I had to make to select which flavour macaron and petit choux we wanted to try – after much deliberation I decided on the Vanilla / Soft Caramel Macaron and the Pistachio Petit Choux. A picked the Soft Caramel Macaron and chose the flavour of the day special for her Petit Choux – Lime & Coconut. 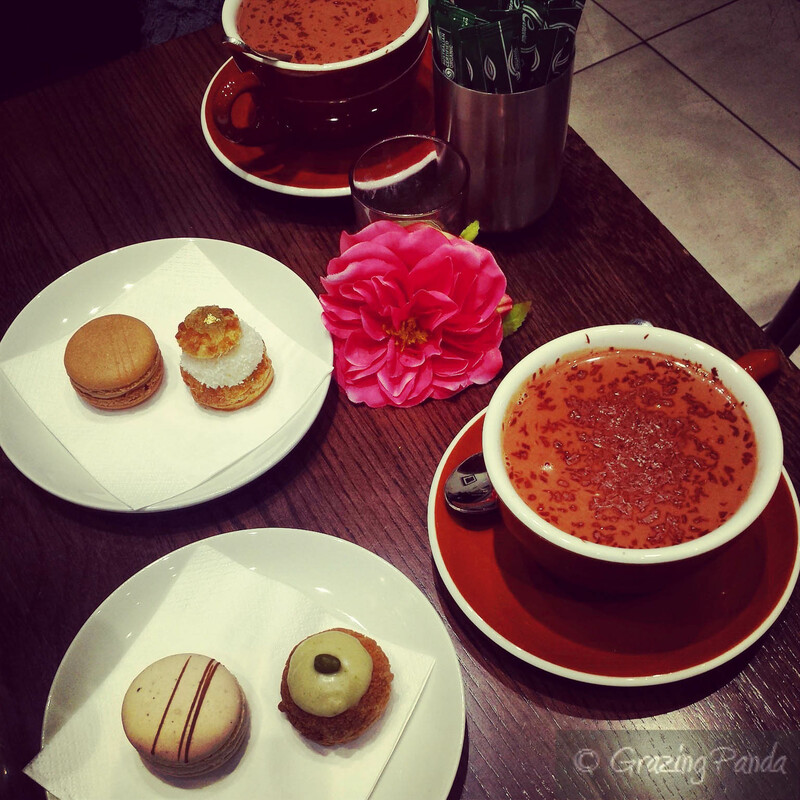 We also both chose to have the Valrhona Hot Chocolate which sounded amazing when Mercédé described it to us. We were there on a Saturday around lunch time and thanks to the striking and colourful front window it really does draw in a crowd. Whilst we were there a tour group came in which was great as we got learn a bit about Mercédé and how she got into her love for baking. We even got to meet her daughter (who was working in store). The macarons were perfect any way you looked at it – from the crispy thin egg-shell like meringue crust complete with chewy almond biscuit to the soft, smooth and flavoursome filling. My Vanilla / Soft Caramel macaron was divine – the perfect level of sweetness and the flavours of vanilla and caramel in perfect balance of each other. The Petit Choux was decadent. The choux pastry was somewhat crunchy on the outside but light, soft, airy and tantalising on the inside giving way to the silky crème patissière. The crème patissière adds the vibrant burst of flavour once you take your first bite. My pistachio Petit Choux was blissfully delicious; the pistachio flavour delicate and vibrant all at the same time – topped with pistachio fondant and finished with a pistachio nut. The Valrhona Hot Chocolate is definitely one for Chocoalate lovers – rich, silky and thick, finished with shavings of Valrhona chocolate. Both A and I needed some extra milk to dilute the richness – which allowed us to enjoy and appreciate the drink. A La Folie also works together with Anthony Hart (Don’t Lose Your Temper – check out his website at http://dontloseyourtemper.com) – who has previously worked at Vue de Monde and The Press Club creating delightful, unique looking desserts – to create Premium Chocolate made specifically for A La Folie. Flavours include Poppin’ Bubble Gum Raspberry and Choc Riso Pops, as well as their very own version of a Wagon Wheel – made of marshmallow, raspberry jam, Turkish delight, rice shortbread and coated with white chocolate and popping candy. A La Folie is a cute café that oozes French sophistication – the staff here are friendly and Mercédé herself is delightful to talk to. She really does love what she does and the fruition of her ideas that emanated into the standalone A La Folie store is magnificent. The sweet treats are delicious and made with natural and fresh ingredients wherever possible. Put some joy, fun and France into your life and visit A La Folie. Disclaimer: Grazing Panda (& a guest) were invited to dine at A La Folie as a guest, however, opinions expressed here are purely my own and not influenced by them in any way. G told me about this little café located near her workplace that I should try out called Little King so at lunchtime I thought I would go and check it out. Little King is set up by Ellie King together with her mum Jessie – and named after her nickname at high school – and is located under the archways of St Paul’s Cathedral (just off Flinders Lane). Their main aim is to serve the best seasonal, local and organic produce to create tasty food options, catering for vegetarians and vegans in the process. Little King is tiny but has a homely feel to it where you can see yourself spending hours just enjoying the ambience and the smell of delicious coffee and home cooking. It is quaint, cute and bursting with energy and life complete with low ceilings, wooden furniture and lace curtains. It reminds you of your grandma’s living room really. There are a few seats located inside as well as a number of seats outside on the pavement just at the front of Little King. The menu changes daily and is based on whatever King feels like cooking each morning – from soups, salads to yummy homemade baked treats such as cakes and muffins. The coffee is from Padre and all the bread and pastries are from Dench Bakery. The day that I go there is a Quinoa Supersalad available as well as Smashed Avocado with Fetta on Sourdough, along with sandwiches ( lots of vegan options available). I opt for the Smashed Avocado and order a Latte to match. The latte is strong with a nutty caramel hit all in one with notes of creaminess to finish. 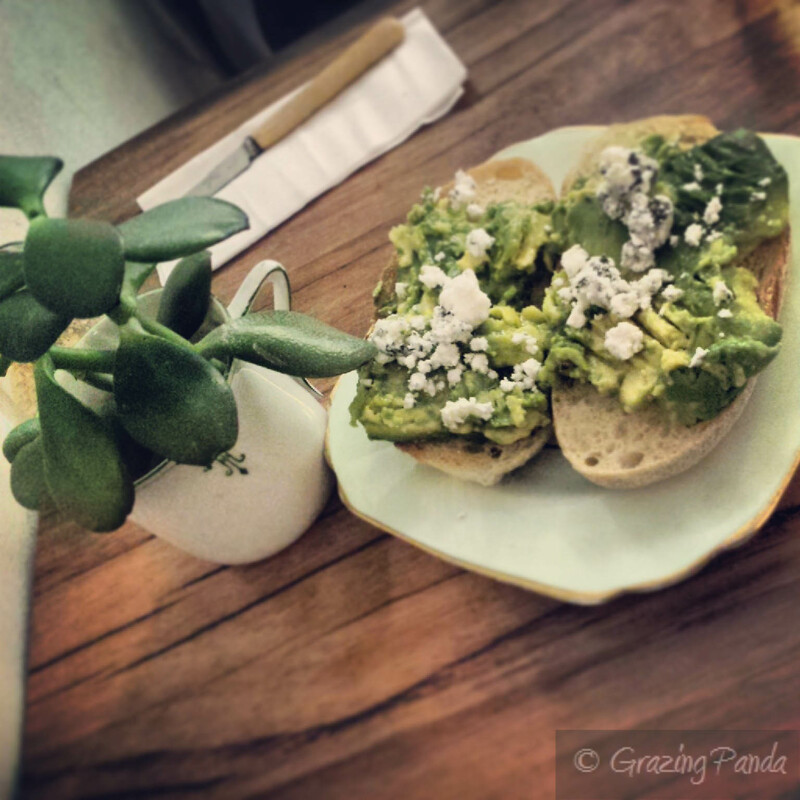 The Smashed Avocado is fresh, creamy and with the tang of the Feta was just what I needed. 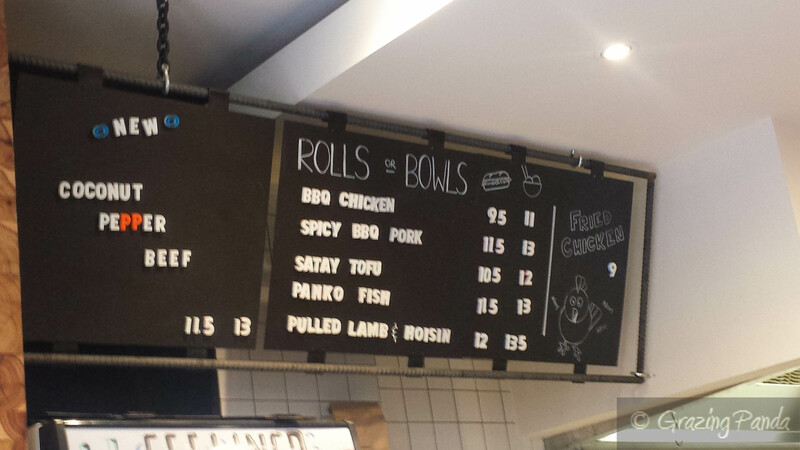 Little King is brilliant and is a great addition to Melbourne. It allows you sit, enjoy and watch the hustle and bustle that happens around the Flinders Street area all whilst enjoying delicious coffee and some great locally produced, home cooked food.